An excellent piece of evidence that femininity is hilarious or ridiculous in U.S. culture, or even frightening or disgusting, is the fact that men use the category "woman" as a Halloween costume. 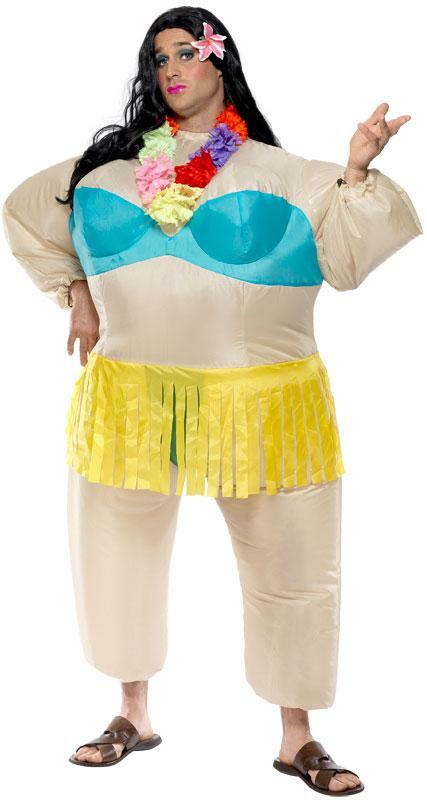 We laugh when we see men dressed up as women because how ridiculous, right? Women do not generally dress up like a generic man on Halloween because adopting masculinity is an everyday things for us. It's valued, not mocked. 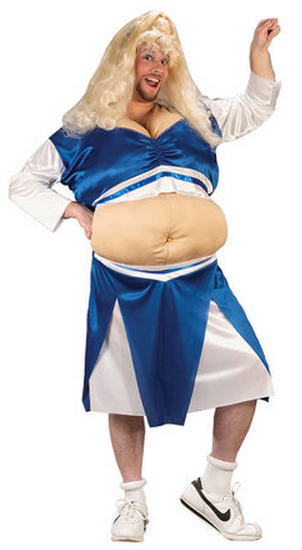 Many costume manufacturers (or homemade costume makers, for that matter) add fat hatred to the mix. Because there is nothing more disgusting and hilarious, we are told, than a fat woman. Except, perhaps, a fat woman who fails to be properly humiliated. Pamela Anderson's character on Baywatch wasn't fat. 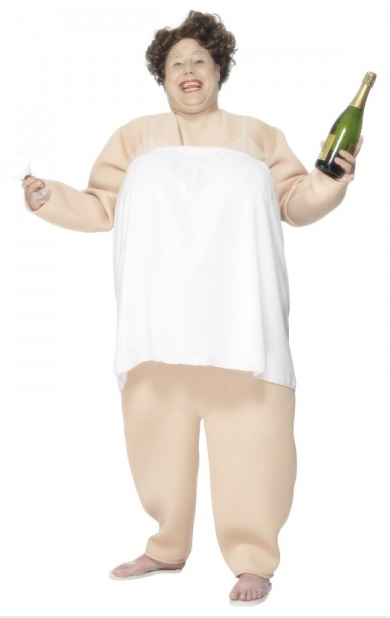 This reveals that the costume manufacturers aren't just making costumes that let people dress up as fat others, they're adding fatness as a joke. Halloween is a disturbing fun house mirror, showing us what we really think about each other. Lisa Wade is a professor of sociology at Occidental College and the principle writer for Sociological Images. You can follow her on Twitter and Facebook.